Most investors are not aware of a critical division of professionals in the world of financial services. This distinction lies between fee-only fiduciaries who are free to act in your best interests and commission-based agents and brokers who are required to act in the best interest of the companies that employ them. Even when people have some inkling about the differences, several important misconceptions continue about both the nature of the problem and an adequate solution. The National Association of Personal Financial Advisors (NAPFA) offers a similar guideline in their fiduciary oath. Advisors promise to “exercise his/her best efforts to act in good faith and in the best interests of the client.” These ethical guidelines imply standards of conduct far above what may be legal. They demand what is right. They require the highest obligation of care, good faith, trust and candor. In contrast, the nonfiduciary world is based on rules rather than on principles and ethics. If an agent has followed the correct procedures, has the paperwork in order and has client signatures on the correct disclaimer forms, no rules have been broken. The behavior can be called unethical, but it is not illegal. Thus additional rules do not necessarily translate into exemplary conduct. This is one reason why investment advisors objected to a proposal to give the Financial Industry Regulatory Authority (FINRA) oversight of fiduciary advisors. FINRA governs nonfiduciaries such as agents and brokers by means of rule-based conduct. Such an approach is diametrically opposed to being a fiduciary. NAPFA also promoted the idea of a “fee-only” advisor. Their ad campaigns were largely successful at raising public awareness about the difference between advisors who are fee only and those whose compensation is based on commissions. But as if purposefully to confuse consumers, many agents and brokers introduced and started using the category “fee based,” which means charging a fee as well as continuing to collect commissions. The distinction should be easy to understand. You would object strongly if you had to ask your doctor to act in your best interests. You would never think physicians would hesitate to sign the Hippocratic Oath. Neither would you consult a pharmaceutical salesperson instead of your doctor. But the rules-based world of most financial services is like relying on a printout of a drug’s potential side effects instead of on a medical degree and the responsibility to treat patients ethically. Fee-only fiduciaries act as agents for investors. They have permission to manage your investments and make decisions in your best interests. They are held to the highest standard of fiduciary care. In contrast, an agent or broker is an employee. They work for the mutual fund company or the life insurance company or the brokerage firm and are empowered to act only on behalf of the company they represent. So they are not allowed to make decisions without your consent. They can suggest services and products for you to purchase, but they must have your explicit permission to complete the sale. They are held to a lower standard called “suitability.” They are permitted to sell you any product that is generally suitable for your class of investors. 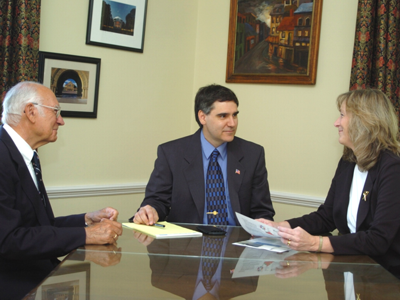 According to FINRA, suitability means the agent or broker only must have “reasonable grounds for believing that the recommendation is suitable for such customer upon the basis of the facts, if any, disclosed by such customer.” The more superficial the agent or broker’s knowledge of the client, the better this works. The only items mentioned in FINRA’s rules are the customer’s financial status, tax status and investment objectives. I’ve never seen a case of unsuitability or know what an unsuitable investment would look like. Selling 30-year bonds to a 90-year-old might be unsuitable. But age is not part of the information an agent or broker is supposed to elicit from a client. The claim in any dispute will be that the salesperson explained everything and the client chose to purchase the product. All the disclosures are stated in the sales document you sign, so you have no excuse. You should have read the document. It’s your mistake. Salespeople are trained to get acquainted with their clients to make sales. They ask questions that begin, “Would you be willing to buy if . . .” and “Which of these choices would you prefer . . .” They are supposed to stop asking questions after the customer has agreed. Their lack of familiarity with a client’s needs often results in substandard care. The differences between these two worlds are seen most clearly in the decision-making process. Fiduciaries can’t simply put your money into good investments. First they must understand as much as they can about you and your goals. They are required to have an undivided loyalty to help you meet those goals. Taking the time to understand your goals is simply part of their ethos. Next, they have to strategize how to best meet those goals. They must be analytical and purposeful. They need to clearly articulate an investment strategy, which should include writing a customized investment policy statement for each client before investing. It means practicing comprehensive wealth management. It means striving to be proactive in areas of wealth management for which there will never be products and commissions. One of the many questions we pose to potential clients is if they have made any investment mistakes in the past. A sad but common response is that they believed a friend, family member or fellow parishioner had their best interests at heart. One way of explaining the difference between a fiduciary and an agent or broker is that you do not have a legal right to trust that an agent or broker is acting in your best interests. They have no such legal responsibility. It really is your mistake. Here are three questions you should ask any prospective financial advisor: Do you have a legal obligation to act in my best interests? Do you receive any compensation other than the fee I pay you? Do you offer comprehensive wealth management? Don’t accept anything less than a fiduciary standard of care. Your family’s finances and welfare may depend on the real differences between what is in your best interests and what is just potentially suitable. You deserve better than satisfactory compliance to the rules. You deserve a firm that offers proactive comprehensive wealth management. Heed this important distinction between advisers who earn their living from the commissions of products and services they sell and those whose only payment comes from the client. One owes loyalty solely to serving the client. The other’s interests are divided at best. NAPFA has promoted this distinction with their slogan “Truly Comprehensive, Strictly Fee-Only” and the “Fee Only” logo. Visit www.napfa.org to find an advisor in your area.